My first stop was of course MartinLogan. When we closed the room up, Peter Soderberg of ML left the system running all night with a music list on repeat, so the system could break in. I wanted to see if the system had developed the improved depth of stage overnight and if the speakers which sounded excellent yesterday during setup had improved and smoothed out. 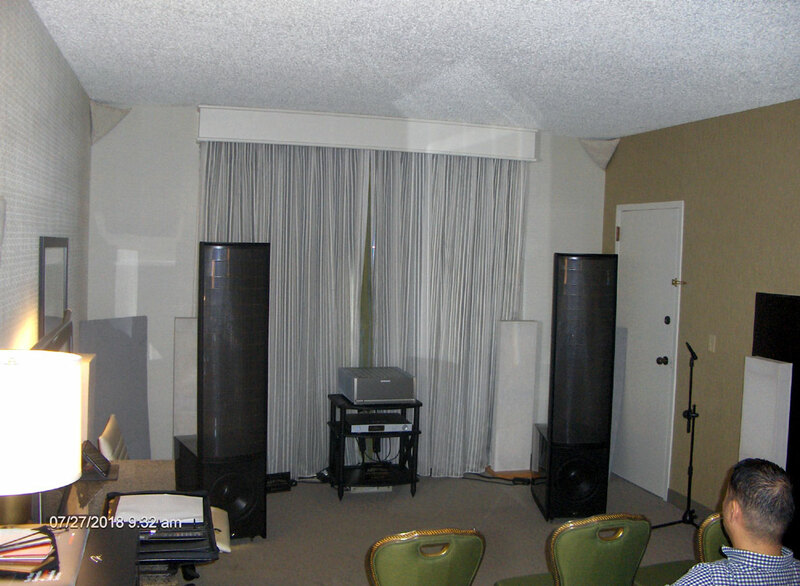 The MartinLogan Room consisted of their new Renaissance 15A.The associated equipment in the room consisted of Parasound’s new JC5 stereo power amp (retail $5,995). 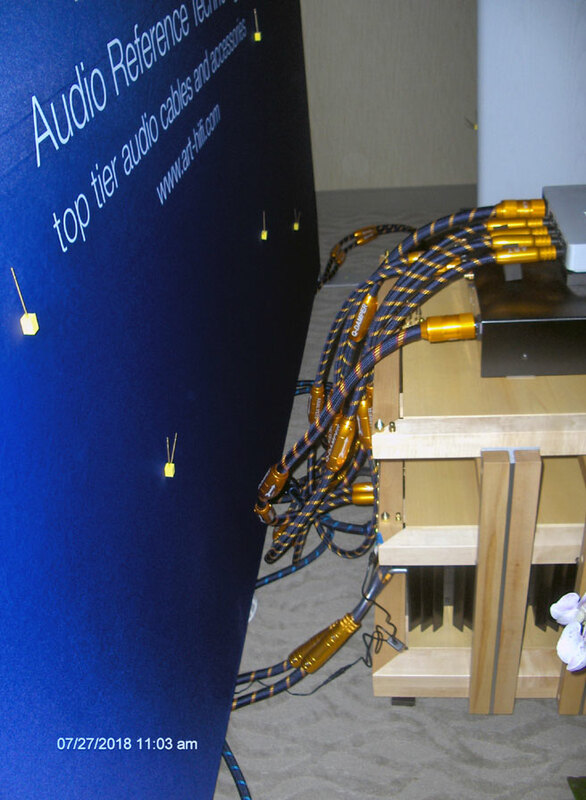 This is only the second time this amplifier has been shown to the general public. The JC5 is the stereo version of the renowned JC-1 mono-block design. It produces a very respectable 400W/Ch. at 8 ohms Class AB and 12W/ch RMS pure Class “A”. 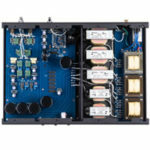 Working as both a preamp and the source is the Aurender A10 ($5,495) This is their only model that can be used as a preamp as well as a server by the addition of a volume control. 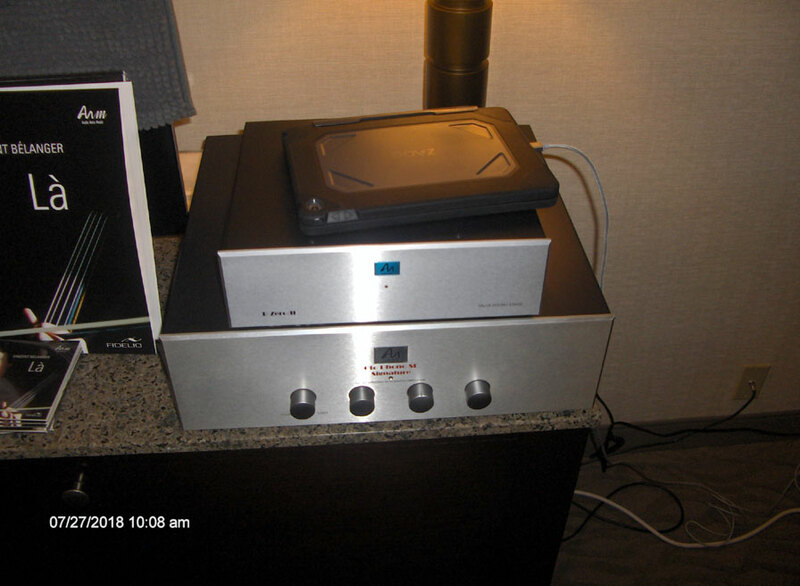 The A10 is a streamer and boasts a 4-terabyte hard drive, MQA capability, and an AKM 768kHz 32bit DAC (the same DACs used in Esoteric and other high end system). The first song I listened to was Pink Floyd’s “Breathe”. The sound was incredibly smooth for digital, with a light, airy quality, I wish I could have experienced them in a larger room. My feeling was the speakers overwhelmed the room. 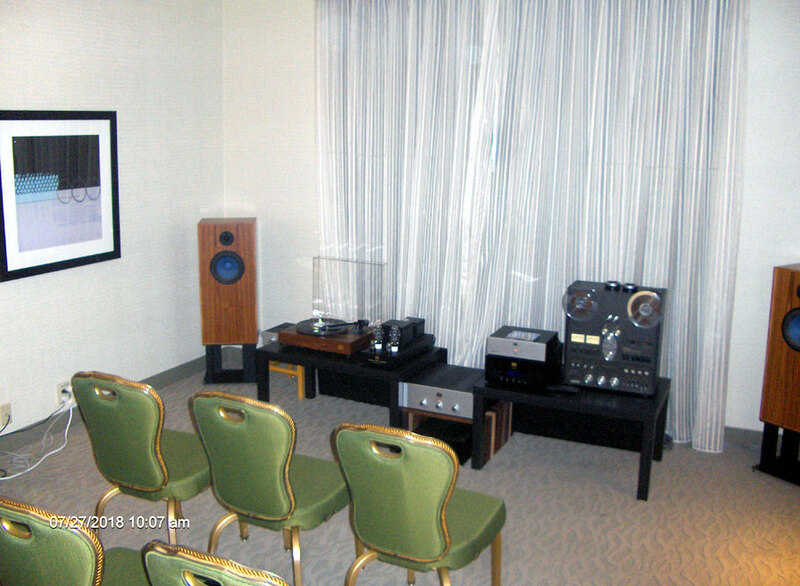 As Peter explained, he wanted to bring the $10k model 10A which he felt was a better match for the room size, but alas they were not available in time for the show. Even so, the total experience was amazing. Next, I listened to “Arctic Blue” from Spirit of Alaska. The piano presentation was so real, if not slightly too large of an image. The rain and birds in the background sounded right. Judy Collins and Willy Nelson’s “When I Go” gave me a definite feeling of them actually being there in the room with me. The previous day we plotted the Bass which measured flat to 20Hz, it was tight and extended. This is a nod to the capability of the Anthem Room Correction system incorporated in the design. 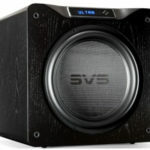 Without the room correction, under normal conditions, the four 12” woofers, each individually driven with their own 500W amps, would create huge sound issues in the room. 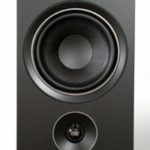 But the room treatment did its job, solving issues not immediately noticeble, and as a result the bass performance far exceeded my expectations for the system. Audio Note had a very nice tube/analog system on display. 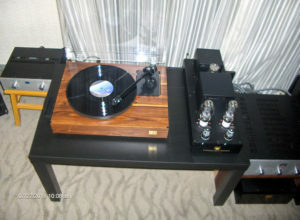 Consisting of their TT-Two Deluxe turntable with the ARM 3/II-AN-VX (the latter being the cable upgrade) and IQ3 MM cartridge. Pricing is $2,622, $1,507 and $764. Their preamp was the M3 phono Balanced ZZ111-64A ($10,037). 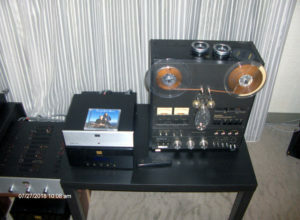 Power was supplied by their Conqueror Silver Signature 8W/ch.300B single ended triode ($6,769). 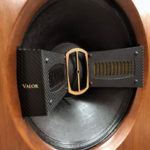 The end of the chain was a pair of their ANE-SPe AT 8” 2way ported speaker at 89db ($6,918/pr). I was surprised they were not using their non AT version which is higher efficiency at 96dB. Which I think would have been a better match. But in the room the ATs were more than adequate. I believe the use of a turntable with tube gear is an ideal system for the person looking for the best in musical reproduction. I want to note something here. Audio Note seems to love using technical model numbers that relate to specifics of each products design parameter, and their pricing relates directly to some formula based on their production cost. For me with nearly 50 years of retail background, I feel these models and pricing are cumbersome and hard to remember. I did also listen to the digital side of the system setup. 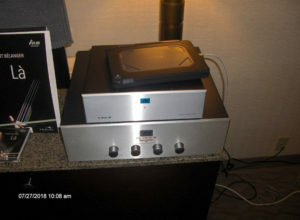 That included their DAC2.1X ($4,704 – why not $4,699 or $4,750 which makes more sense to me). The transport was a CDT ONE/II ($3,044). Vincent Belarger’s “La” was extremely laid back. The music seemed to melt into my ears, like butter in my mouth. Almost overly warm and smooth. Good staging and instrument placement. Wanting to hear how the system performed with high dynamics, I pulled out one of my old Usher Audio’s Demo Discs. The first cut is Chinese Drummers which game me a sense of the systems low end and dynamics. Bass was nicely formed if not super extended, but the speakers only had a single 8” driver in each cabinet. The attack was realistic, but defiantly tube like. I switched to female vocal on the same disc. The female vocalist exhibited a lovely smooth presentation, set well above the speaker height. Overall a very pleasant experience. Audio Reference Technology (A.R.T.) is primarily a wire company out of Florence, Italy although they also produce some accessory items. They had a full compliment of their Analysts SE cables and interconnects plus a generous sprinkling of Feet, Cones and stabilizers. 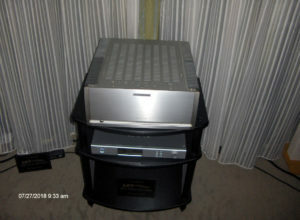 The system consisted of Dynaudio Contour 60 speakers ($10,000/pr), driven by a Pass Labs INT-250 integrated amp ($12,000), Krell Vanguard DAC ($8,795) and an Acurus CD-60 CD Player. To give you an idea of ARTs pricing one 3M SE Speaker cable is $16,000 per pair and the matching 1.5M interconnect is $9,000. Needless to say, on the upper high end of quality and price. As for the performance the system displayed excellent pace and rhythm. Imaging was good with a reasonable depth of stage. Bass was clear and extended. A very respectable and accurate musical presentation. Firstly, thanks for taking the time to write this show report. It’s always interesting to read other people’s individual views and impressions. 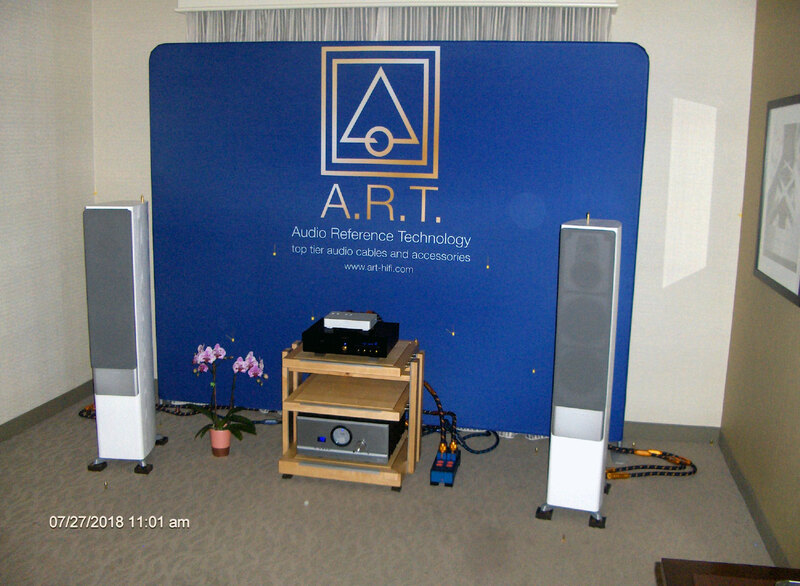 Regarding your comments on the True Sound / Audio Note (UK) room; I’d like to clarify the model names of the products presented during the show, if I may. We don’t make – and have never made – any ‘speakers with an ‘AT’ designation in the name. The ‘speakers used at the show were AN-E/SPe HE. The ‘HE’ stands for High Efficiency, as this model has the Hemp cone, silver voice coil, large magnet equipped bass drivers. Efficiency is in the region of 97.5dB in room. We don’t actually make any version of the AN-E ‘speaker that is below 94dB efficiency incidentally, and certainly nothing as low as 89dB; never have, never will. The ARM-Three/II tonearm comes as standard with our AN-Vx external cable installed, this is not an upgrade but the standard version. 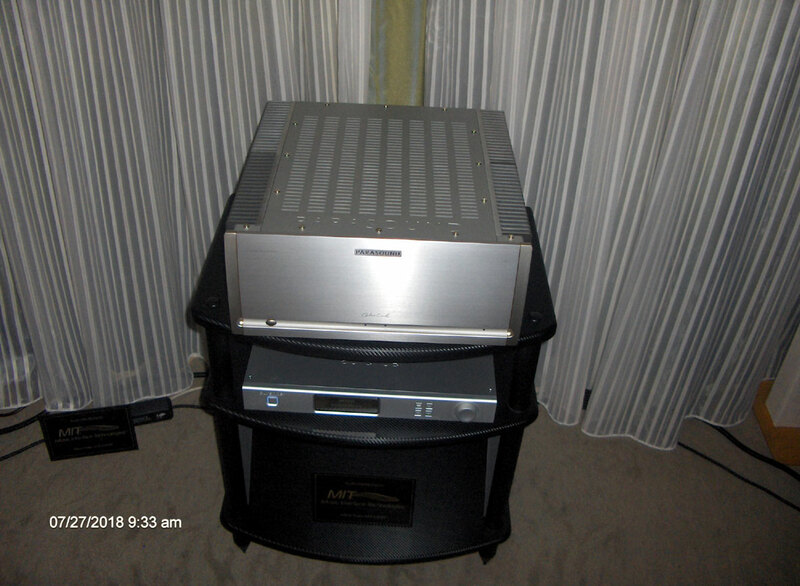 The preamplifier was the M3 Phono. The extra ‘ZZ111-64A’ code you’ve included in the name is just an internal / dealer product code, and is not the actual name of the preamplifier. That would indeed be a cumbersome name, even by our standards! The DAC was actually the DAC2.1x Signature model. Once again, thanks for taking the time to write the review, and I’m happy to hear you had a pleasant experience.